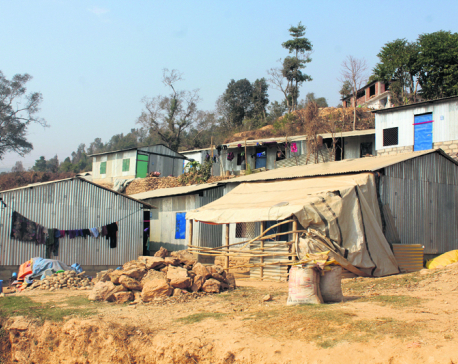 DHADING, Feb 25: What should a house look like? How much room should it have? How spacious should it be? 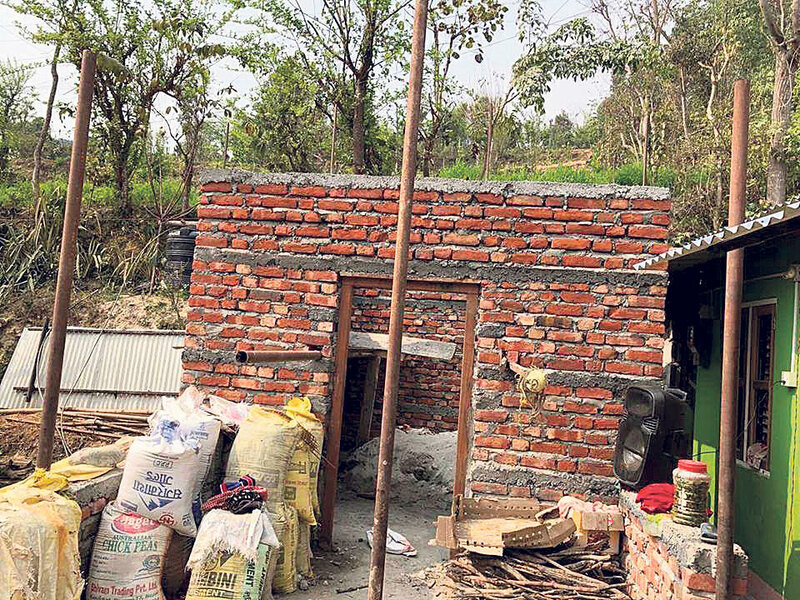 While thousands of earthquake victims have been building house with the grant provided by the government, the lack of monitoring and guidance has resulted in an utter mess in the reconstruction work. The victims in Fulakharka, Budhathum, Besari, Darkha, Aginchowk and Salyankot, among other areas of Dhading have built home that are just but a fiasco. “What to say, you cannot call it a home. They have made something different than a home,” noted Yagya Prasad Dhakal, chief of District Treasury and Controller Office. “These homes cannot be used by humans, at least,” he added. Why have the victims built such odd houses then? There are various reasons. According to locals themselves, many of the victims just want to claim the grant amount. Even if they already have a proper house to live in, they don’t want to be deprived of the amount. In the case of some others, who do not yet have a house to live in, the lack of resources and expertise has compelled them to erect poorly designed houses. “Not all houses had crumbled during earthquake. They repaired the houses and started living in there. But they still wanted grant,” said a local of Bekari, requesting anonymity. “So, now, they have to show something to get the rest of the grant,” he added. According to Dhakal, the houses are so tiny that they could be used even for restroom. Some are like small cattle farms. “But in reality, people have remained where they are. Victims are going to be victim forever. These houses are testimony to careless attitude and poor knowledge of the government, bureaucracy, leaders and so on,” he said. Engineers have certified houses indiscriminately. According to Dhakal, many houses, which are as tiny as a pan shop in rural area have also been been recommended for second house grant. These houses are so small that it does not suffice for even two persons to sleep in. “The government’s attitude remained that everything would be alright if little grant is provided. It was not serious about the follow up. This thing could be figured out as you have a look of those houses,” he said. He further stated that the compulsion to use concrete instead of sand and bricks has been responsible for disfiguring some houses. The government had restricted to construct mud and stone houses. According to one of the victim, Manju Nepali, delay in grant distribution has led to the present chaotic situation. If the government had provided house grant in short intervals or on time, victims would have been able to build proper house. “We did not get money on time. Procedures were lethargic. So it is not only the fault of the victims, but mainly that of the government. We did not get even engineers or technicians here for advice,” she said. In Dhading, among the 73,331 quake victims, only 66,000 have received the first installment of the house grant. According to the Building Division Office, 25,000 quake victims have been recommended for second installment.